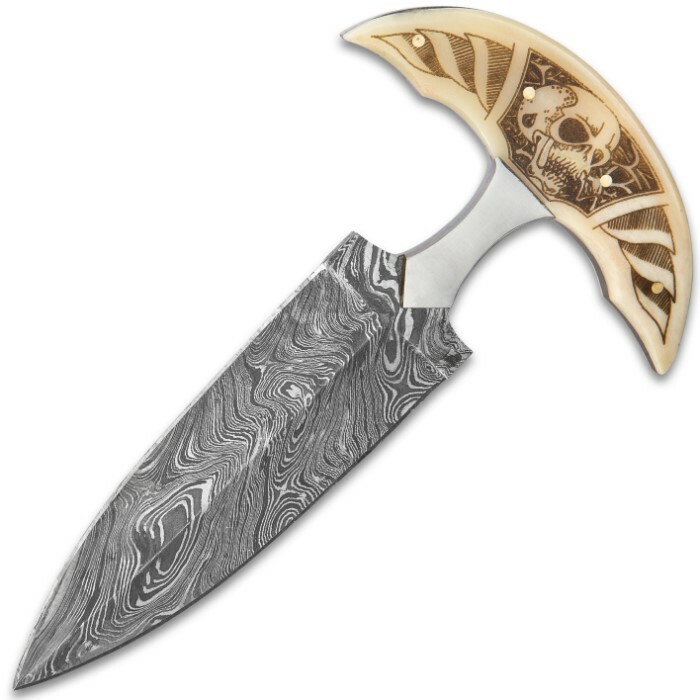 Our savage Skull Bone Push Dagger has the look of a handcrafted, weapon that might have been used by the primitive tribes of man at the very dawn of civilization. 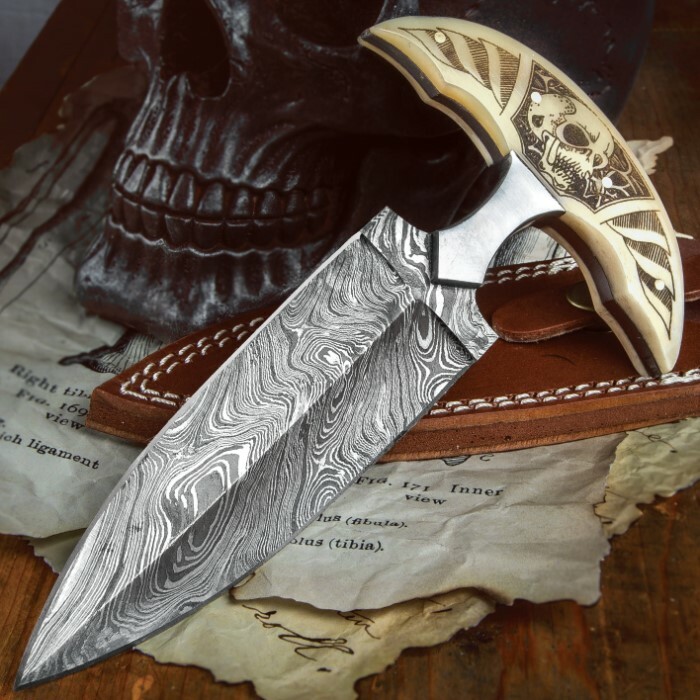 It has a sharp, double-edged, 5 1/4” Damascus steel blade with a penetrating point that gives you plenty of sticking power. 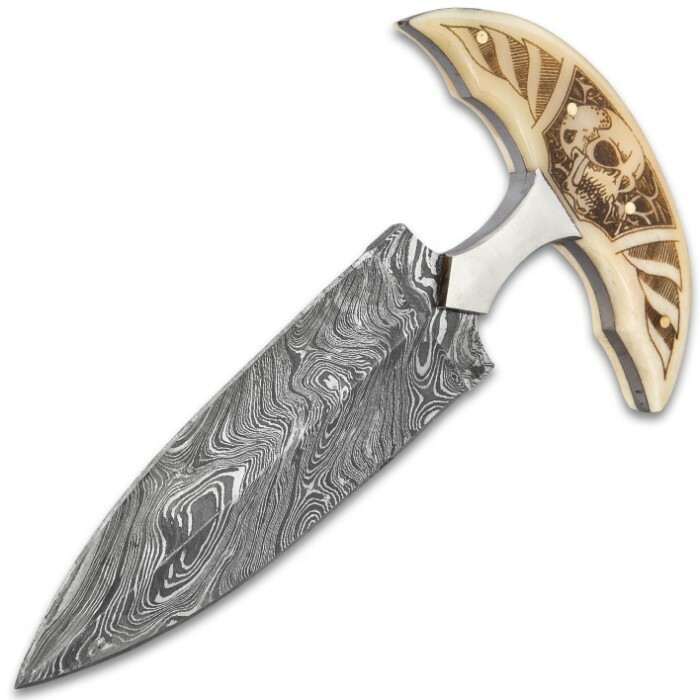 The genuine bone handle scales are secured by stainless steel pins and feature an intricately etched skull-themed design. 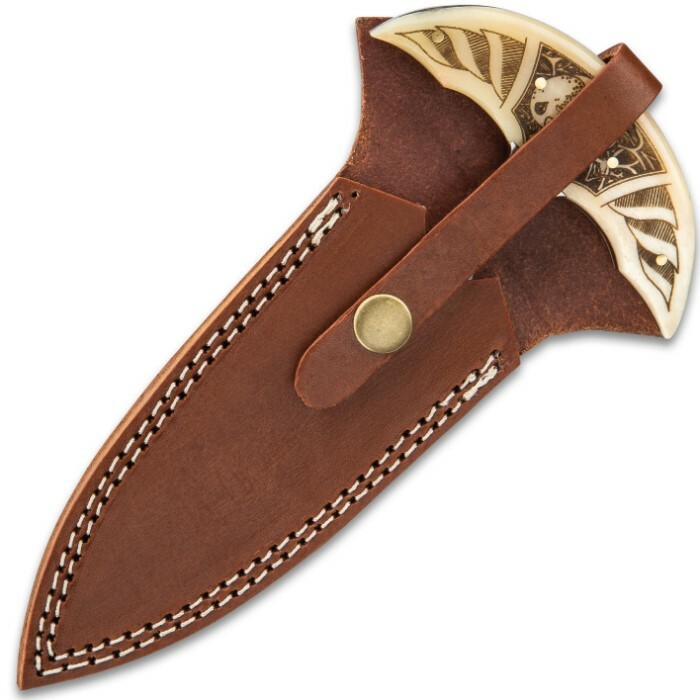 The 7 1/2” overall push dagger fits securely in a premium leather belt sheath, which has a snap closure and white top-stitching. Big and mean, good for self defense...just the sight is enough to ward off an attacker. Handle is a bit big but managable...i wrapped a few strips of leather around it for grip and i wish the sheath was a bit more tactical. This a unique dagger. Upon receiving, the box it is packed in is typical cardboard packing from offshore. Not very worthy of display. But take out the dagger and it was carefully poly bagged, wrapped in tissue paper, and poly wrapped in oil. The dagger has a good heft to the handle and the pins are solid. 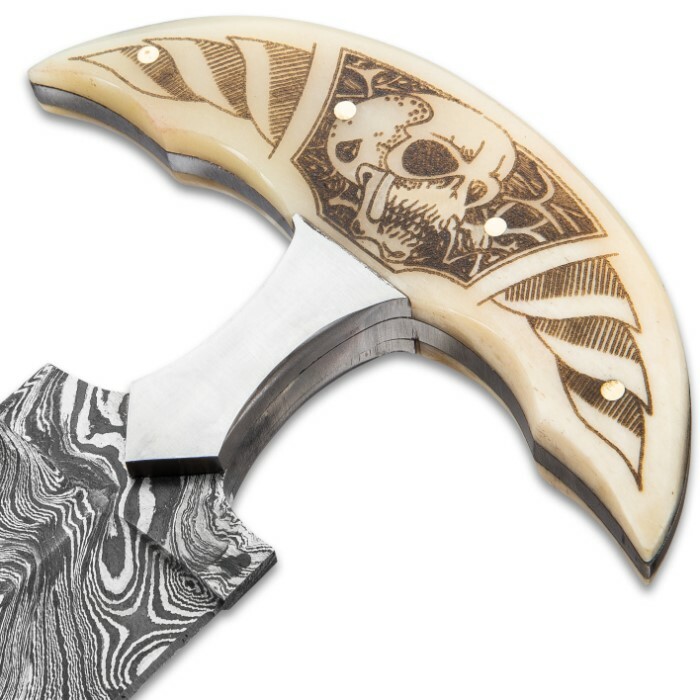 Nice scrimshaw on the handle and blade is sharp. The sheath is a brown sturdy double stitch, but this one arrived with a dog eared top, which over time should flatten out. Would recommend.